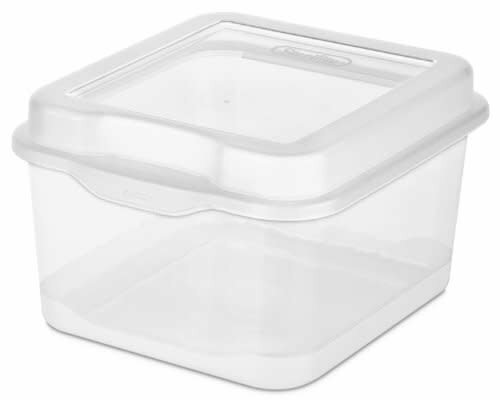 The Sterilite medium flip top storage box is a clear hinged lid plastic box that can help get you organized. 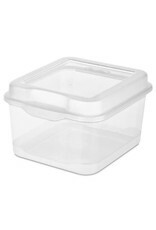 These medium plastic boxes with hinged lids are an obvious solution for storing medium items. The medium hinged plastic boxes from the Sterilite flip top storage box line, have the lid attached so you will never have to search for it. The hinged lid snaps down tightly and securely on these medium hinged plastic boxes. Each Sterilite medium flip top storage box is clear making it a breeze to find items inside without having to open each.